Can Back Pain Be Caused by Foot Problems? Millions of Americans suffer with back pain daily. Lower back pain can be debilitating, and in many cases, it can be difficult to determine the cause. Did you know that there is a good likelihood that lower back pain, also known as lumbo-sacral pain, can be caused by conditions related to your feet? Pain in the lower back is sometimes caused by over-pronation of the foot, which occurs when the arch of the foot ‘collapses’. Over time, the foot rolls inward, and thus the leg itself begins to rotate inward. The pelvis tilts forward, which increases the curvature of the lower back. Standing for long periods of time can aggravate this condition by causing your back muscles to tighten. 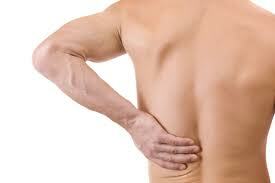 Stiffness and discomfort in the lower back are the result. Other conditions caused by over-pronation are misaligned bones, hammertoes, bunions, and knee pain. Surprisingly, treatment for lower back pain related to foot problems is usually easy to treat! Inserting a custom orthotic in your shoes can significantly reduce, or even eliminate lower back pain. These orthotics support the arch of the foot, which corrects the inward rotation of your feet and legs. It is also important to pay attention to your body, and doing simple stretching exercises when you know you’ll be standing for an extended amount of time can help loosen up those tight back muscles. Triad Foot Center specializes in creating customized orthotics, molded specially for your feet. Give us a call at one of our locations in Greensboro, Asheboro or Burlington to make an appointment, or click here to request an appointment!